Ever wanted to drive a Gucci car? Well, now you can. The house of Gucci collaborated with Fiat 500 and the result is a car with the Gucci logo and the Gucci signature colors (red and green or, more accurately, the green-red-green band) on it. The campaign was lensed by Mert & Marcus and it is fronted by Natasha Poly, a familiar face for Gucci ad campaigns. 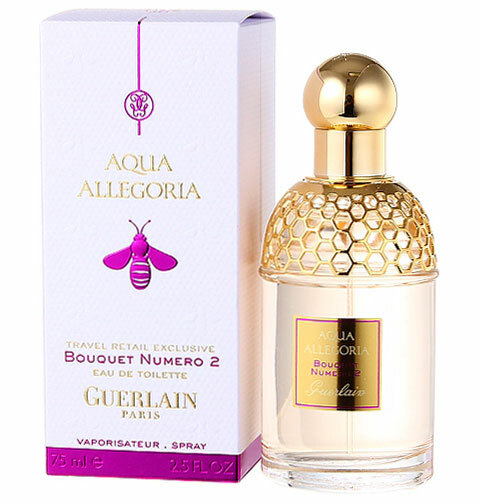 Guerlain's latest offering in the Aqua Allegoria line is Bouquet Numero 2, which follows last year's Aqua Allegoria Bouquet Numero 1 (obviously). The new Bouquet Numero 2 is: "inspired by nature, created by Guerlain. Nature is an emotionally-charged setting where we gather treasures, which inspires and enfolds us. Every year, when springtime comes, the Guerlain perfumer conjures up gardens filled with scents, in a blend of allegory and exhilaration. " The new scent takes its inspiration from the exotic tropical gardens. The notes are: juicy litchi, rose and powdery iris. Available in 75 ml, Eau de Toilette. Aqua Allegoria is Guerlain's line of (affordable) fragrances dedicated to the scents of nature. Jasminora is also one of their recent releases (2011). Rihanna covers the July 2011 issue of Cosmopolitan magazine. The singer will begin her Loud tour in about a week and she's about to launch a new video for the single Man Down (review coming soon). The fragrance is described as woody floral and features notes of violet and frangipani. 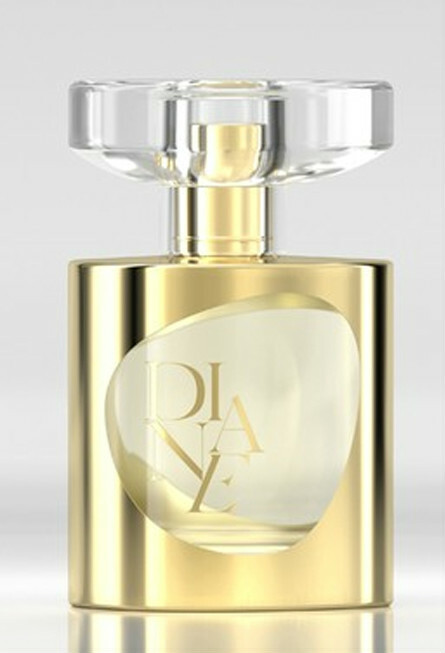 Diane by Diane Von Furstenberg will be available in 50 and 100 ml Eau de Parfum and in matching body products, in October. Bradley Cooper scores another cover shoot, this time for GQ Australia, June/July 2011 issue. Take a look at the photos below and read the interview excerpts. 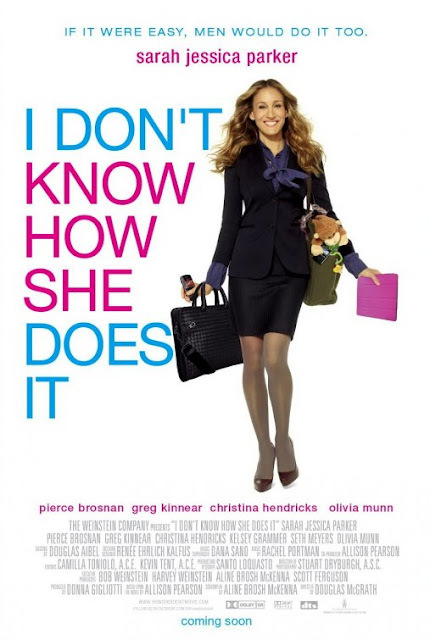 I Don't Know How She Does It is an upcoming romantic comedy, starring Sarah Jessica Parker, Greg Kinnear, Pierce Brosnan, Christina Hendricks, Seth Meyers. "A comedy centered on the life of Kate Reddy (Sarah Jessica Parker), a finance executive who is the breadwinner for her husband and two kids. 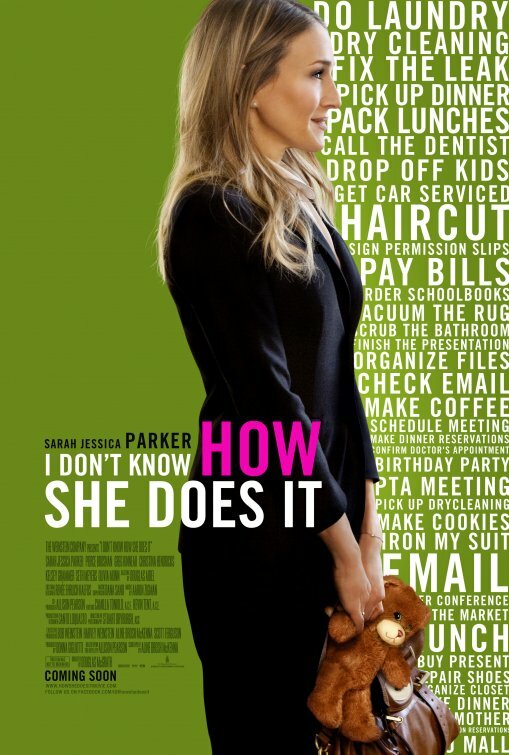 Her life gets thrown off balance when she gets a promotion and finds herself juggling her career and family life." The film, based on Allison Pearson’s bestseller, hits U.S. theaters in September. Kylie Minogue is a triple cover girl for InStyle Australia, gracing 3 different covers. The June 2011 issue pays homage to InStyle’s premier awards that celebrate Australian Women of Achievement held on May 11th. The InStyle and Audi Women of Style Awards honour Australia’s most inspirational and innovative women, across multiple fields, including fashion, beauty, lifestyle, and the arts. The June 2011 issue honors Kylie's win in the “Business Category” for her host of business ventures and international success. 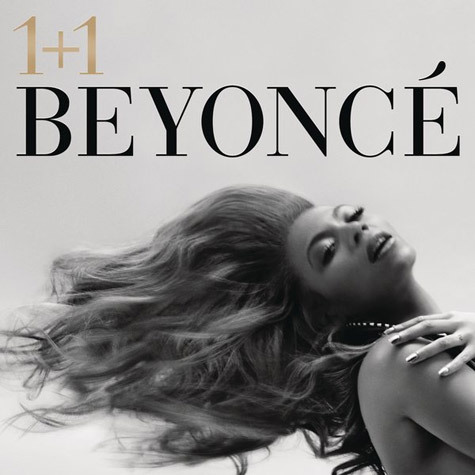 Beyonce has just premiered a new song called 1+1 from her upcoming album with a performance on American Idol’s season finale on Wednesday (May 25) and she said it was her favorite track from the album. The song is now available to download on iTunes and the album is available for pre-order, to be released on June 28. Remember Happy Feet? The animated film is back: Happy Feet Two (in 3D) features the voices of Robin Williams, Elijah Wood, Pink (who replaces the late Brittany Murphy), Brad Pitt, Sofia Vergara, Matt Damon, among others. Happy Feet 2 hits U.S. theaters in November. George Clooney has two upcoming movies for 2011, one of which is The Descendants, directed by Oscar-winner Alexander Payne (Sideways). Lady Gaga covers the new issue of Rolling Stone magazine. Scroll down for photos and interview excerpts. 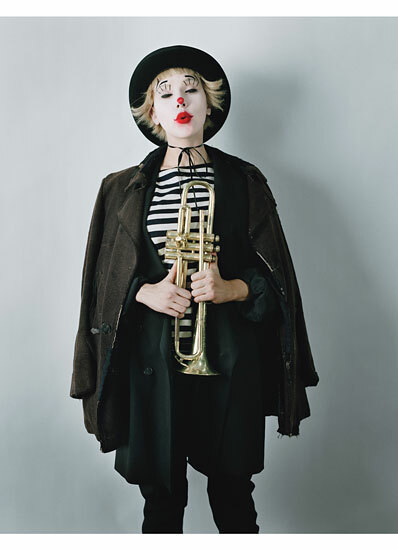 Scarlett Johansson recreates cinematic icons for W Magazine (June 2011): Buster Keaton, Marlene Dietrich, Sarah Bernhardt, Giulietta Masina in Fellini’s La Strada. Florence Welch of Florence + The Machine covers the July 2011 ‘Music Issue’ of NYLON magazine. 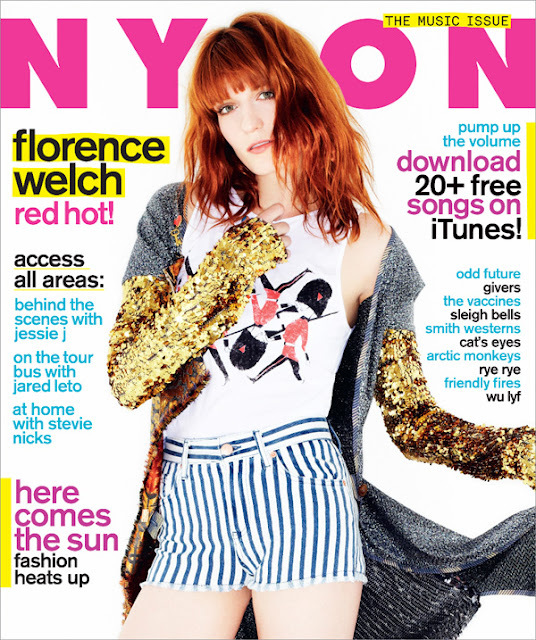 Check out Florence talking about her next album. The Billboard Music Awards have returned this year after a 4 year-hiatus. Held in Las Vegas at the MGM Grand Garden Arena last night, they featured some of the biggest artists of the last 12 months and are, of course, sponsored by Billboard magazine. The BMAs honor winners based on Billboard's year-end music charts, which are compiled based on Nielsen data for sales, downloads and airplay. Awards are given for the top album/artist/single in every genre. The nominees are selected based on their performances in the Billboard charts in the respective year, therefore there are a gazillion categories, according to music genre, digital/radio classifications, but I've selected some of the major categories below, listing the nominees and winners. Read on. 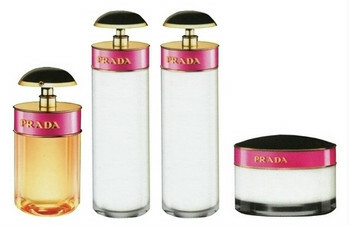 Prada will launch a new oriental fragrance for women, called Candy, in August. The new scent is meant to be excessive, impulsive and passionate, and different from the existing Prada perfume line. The notes include a cocktail of musks, caramel and an overdose of benzoin. Prada Candy will be available in 30, 50 and 80 ml Eau de Parfum and in matching body products: body lotion 150 ml, shower gel 150 ml and exfoliating cream 200 ml (all pictured below). 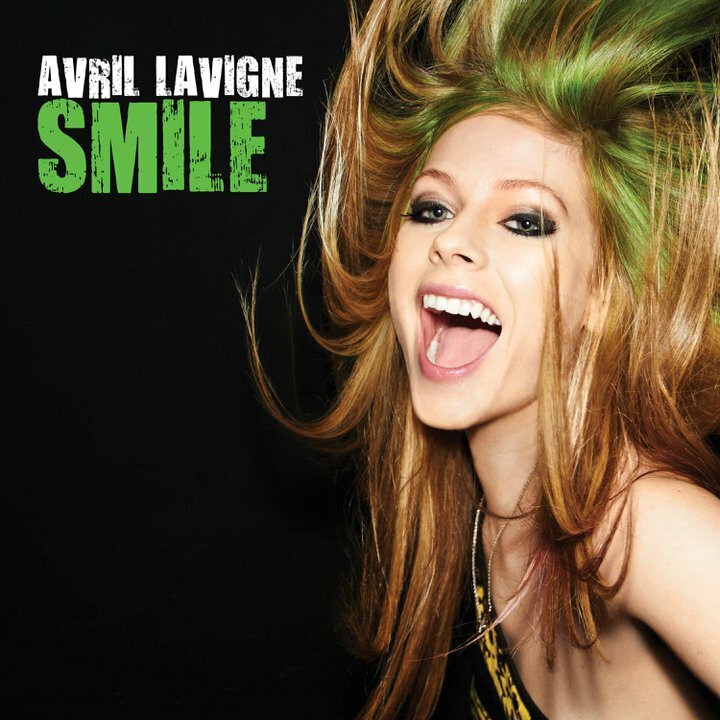 Avril Lavigne has just premiered the video for her new single Smile. This is the 2nd track released from her current album, Goodbye Lullaby, which hasn't exactly been a huge hit for the Canadian singer. Lady Gaga covers French Magazine Madame Figaro, check out the photos below. Photographed by Mariano Vivanco, fashion director Nicola Formichetti and make-up by Billy B.
Kate Hudson and Ginnifer Goodwin star together in the new rom-com Something Borrowed, about two longtime best friends whose relationship is tested when one sleeps with the other's fiancé. Scroll down to watch trailer. 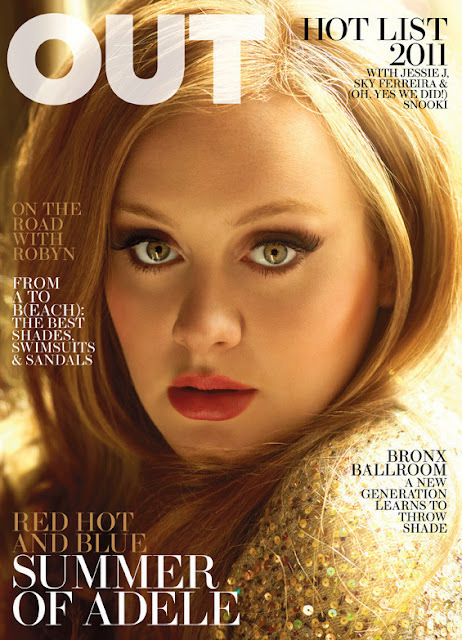 Marie Claire US took the opportunity and features them together in a cover shoot for the June 2011 issue. Rihanna will be featured in Vita Coco coconut water’s advertising campaign launching this summer in the U.S. (photos below). Camellia: "A velvety floral bouquet that reveals all the delicacy of the Japanese camellias. An expression of pure femininity." The notes include white tea leaves, Umé plum, camellia petals, magnolia, woodsy and ambery notes. Paradise Lost: "Free spirit creatures, flower children and mystics altogether celebrating the enlightenment of life. A get-away to the sun infused Goa beaches in India. Feminine." 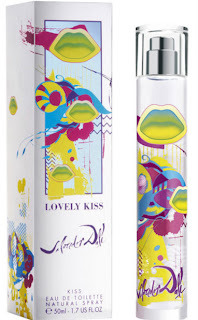 The notes feature Indian limette, bergamot, jasmine, tuberose, Bourbon vanilla, sandalwood and musk. Both available in 75 ml Eau de Parfum. Roksanda Ilincic dress. Jennifer Behr veil. After 4 teasers and a delay (the video was initially supposed to premiere last week), Beyonce finally reveals her new video to the single Run The World (Girls), the first track taken from her upcoming album, entitled '4'. The video was directed by the very talented Francis Lawrence and we can see Beyonce sporting outfits by Alexander McQueen, Roberto Cavalli and Givenchy. Run the World (Girls) heavily samples Major Lazer's Pon de Floor single and it hasn't been performing very well on the charts so far. Maybe the video will give a much-needed boost. Yves Saint Laurent will launch Saharienne in June. The new perfume is named after the famous Yves Saint Laurent Saharienne safari jacket and is intended as a ‘celebration of free, wild and provocative femininity'. The campaign is fronted by Polish model Monika Jac Jagaciak. The notes include citron, bergamot, mandarin, white petals, orange leaves, galbanum, blackcurrant buds, pink pepper and ginger. Available in 75 and 125 ml, Eau de Toilette. Shakira's new single is called Rabiosa (scroll down to see the cover art) and it's the 3rd track taken from her current album Sale el Sol. Take a look at the teaser for her new video in which she's sporting a brunette wig. One of them goes nerdy, the other one goes gangsta. Katy Perry and Rihanna have revealed the cover arts for their new singles; you can see both of them (and listen to the tracks) below. Katy Perry goes 80's geek on the cover for her new single, Last Friday Night (T.G.I.F.). This will be the 5th single taken from Perry's Teenage Dream album. The video for the song is already finished and the track will be released in early June. Adele covers the new issue of Out magazine and talks about her current album '21', the guy who inspired it and some of her favorite singers. Scroll down for photos and interview excerpts. Penelope Cruz is Vogue's cover star for their June 2011 issue (US edition) and she looks great in all Dolce & Gabbana outfits. Scroll down for photos and interview excerpts. Britney Spears covers the June 2011 issue of US Harper's Bazaar, check out the photos and interview excerpts right below. In other Britney news, she has just announced that the new single from the album Femme Fatale will be the track 'I Wanna Go'. Scroll down to listen. 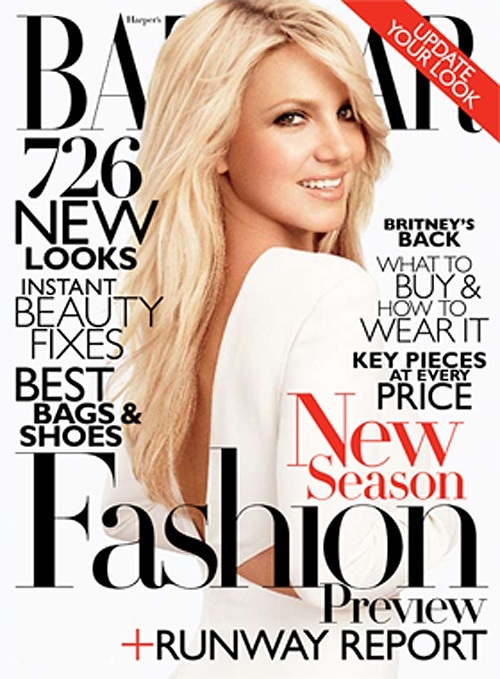 On the cover: Britney wears Bill Blass dress. 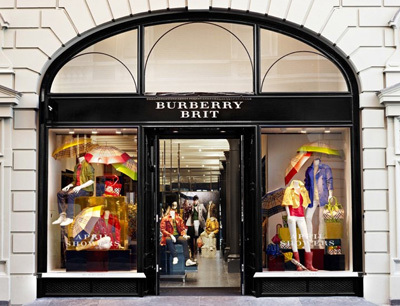 Burberry brings the widely successful Brit label closer to home by opening the very first Burberry Brit store in London. The 10,000 square foot space designed by Christopher Bailey is the most digitally advanced Burberry store in UK. “We are really excited to open our first Burberry Brit store in London." says Bailey, "We have had great feedback from our Brit stores around the world, so it felt right to open the biggest Brit store in our home city. The store is designed to be multi-functional and modern in the way everything is presented to the customer; all the stock is on the floor with moving fixtures and fittings that can alternate." W magazine previews Larry Crowne, the new movie starring Tom Hanks and Julia Roberts with its June 2011 cover story. Scroll down for the photos and interview excerpts. On the cover: Julia Roberts wears Dolce & Gabbana silk dress, Burberry belt. Tom Hanks wears Tom Ford silk suit, Dolce & Gabbana cotton shirt. 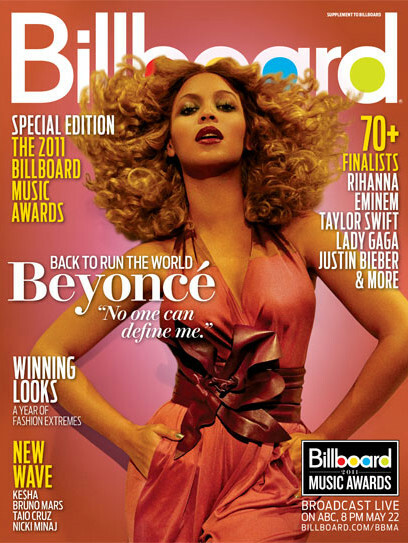 Beyonce covers the new issue of Billboard magazine (wearing Marc Jacobs), talks new album and more in the cover story. 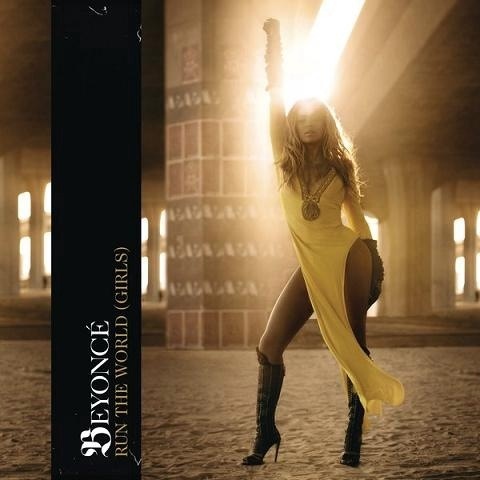 Scroll down to read interview excerpts and watch the newly-released teaser (this is teaser number 3) for the video to Beyonce's new single Run The World (Girls). In case you missed teaser number 2, you can watch it below as well. Horrible Bosses is an upcoming comedy with a star-studded cast, including Jennifer Aniston, Jason Bateman, Kevin Spacey, Colin Farrell, Jamie Foxx, Donald Sutherland. "Three friends conspire to murder their awful bosses when they realize they are standing in the way of their happiness." 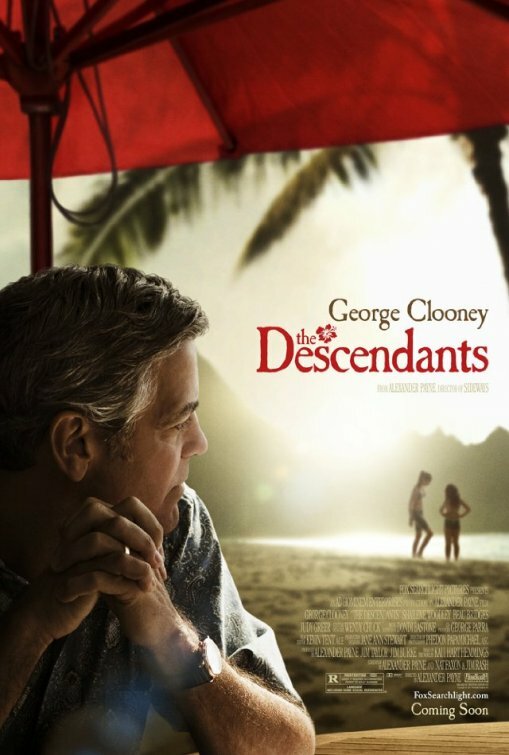 The movie opens in the U.S. on July 8, 2011. Penelope Cruz is British GQ's cover star for their June 2011 issue. Scroll down for photos and interview excerpts. Agent Provocateur slip, Yves Saint Laurent dress. Drive stars Ryan Gosling, Carey Mulligan and Christina Hendricks and it will premiere at this month's Cannes Film Festival. 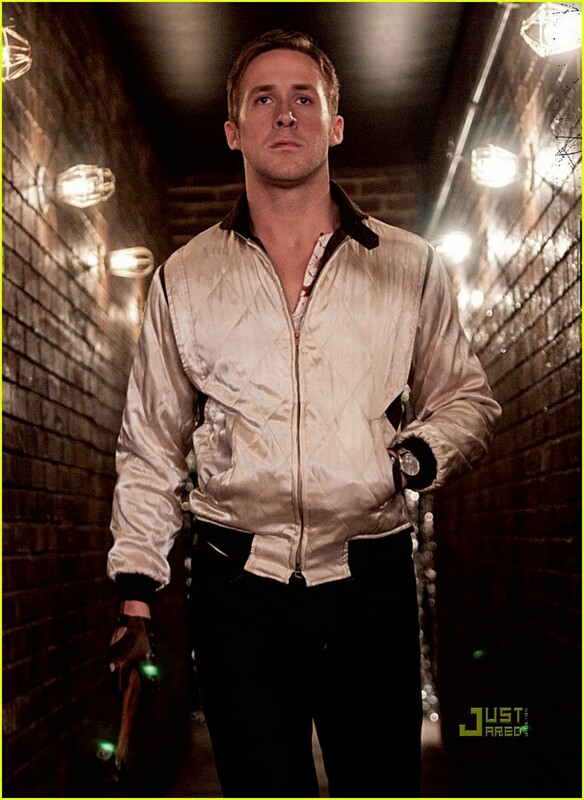 Gosling plays a "Hollywood stunt performer who works as a robbery getaway driver by night and discovers that a contract has been put on him after a heist gone wrong." The movie hits U.S. theaters on September 23rd. The first still photos have finally been released online. Scroll down to watch a scene from the movie. Here's a look at Monica Bellucci's black and white spread for Vogue Italia May 2011 (wearing Dolce & Gabbana). Starting this week, I will post an update with a roundup of all the recent and upcoming fragrance releases about twice a month or whenever there's lots of new things to write about. 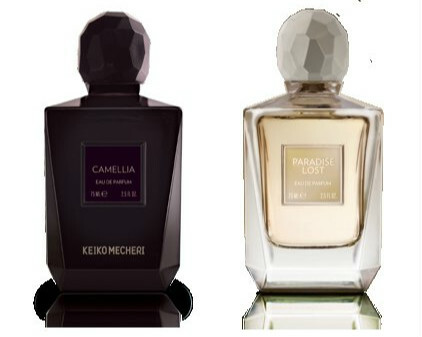 I'll break these down into 2 categories: mainstream perfumes and niche perfumes. Get ready to scroll down and hang on to your wallets because this is tempting stuff! "Youthful, fresh and summery, it conveys a very contemporary elegance, making it the ideal fragrance for young, chic and casual women who love to play around with fashion and trends.Energetic and dazzling, these women exude an insolent joie de vivre and a radiant femininity, leaving the exquisite trail of Lovely Kiss in their wake." To be launched in late August, Dahlia Noir is a powdery floral chypre with notes of pink pepper, mandarin, mimosa, rose, iris, patchouli, sandalwood, vanilla and tonka bean. 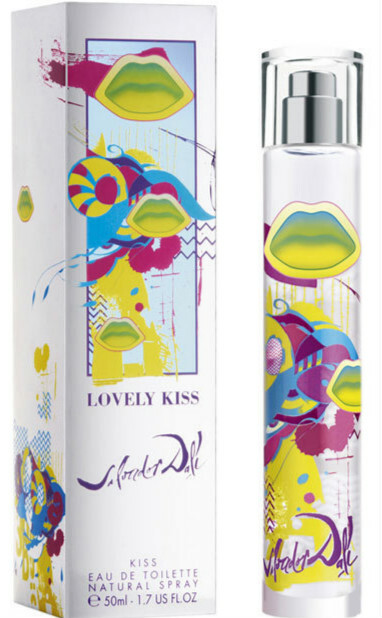 It will be available in 30, 50 and 75 ml Eau de Parfum. This is the first fragrance developed under Riccardo Tisci (creative director) since 2005. Lady Antebellum's new single is called Just A Kiss, from their upcoming album. Just A Kiss follows the hugely successful Need You Now. As previously announced, Rihanna is the new face of Nivea's campaign for “100 Years Skincare for Life,” celebrating the centennial of the skincare brand. Lady Gaga has just debuted a new song on iTunes, offering yet another glimpse of her upcoming Born This Way album, dropping May 23. Rihanna has premiered the video for the song California King Bed, single taken from her album Loud. This is one of the 2 brand new singles that Rihanna is putting out. The other one is a Caribbean-flavored track, called Man Down (video to premiere later this month).